First appearing around 1200 A.D. in China, the modern abacus evolved from the counting boards that dated back to Babylonian civilization. Featuring rods of vertical beads split across two decks, the abacus serves as a tool that still finds use in many Asian cultures today. Based on the idea of transferring numbers to the tool directly as the digits appear when written down, the abacus serves as an aid that allows its user to perform complex counting and mathematical procedures. 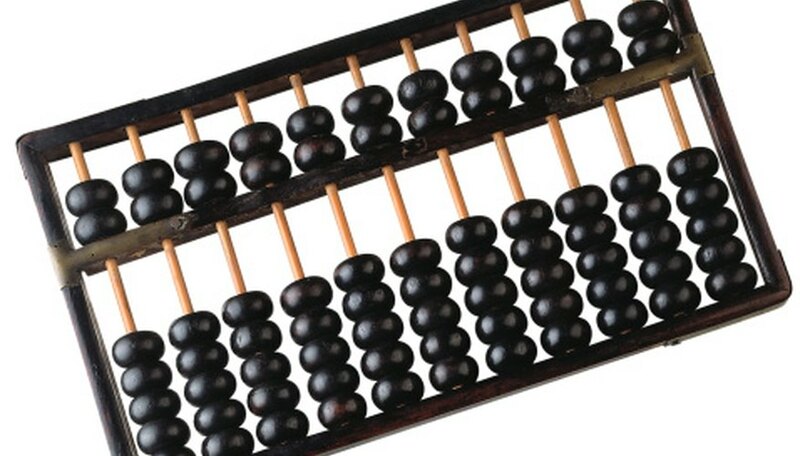 Today, a design similar to the traditional Chinese tool is used for most abacus counting. Place the abacus flat on a surface, such as a table or desk. Make sure to orient the abacus so that the deck featuring the smaller amount of beads, typically two per row, sits at the top of the abacus. Push the beads on both the upper and lower decks away from the middle beam. The beads on the upper deck are known as the "heaven beads", while the beads on the lower deck are known as the "earth" beads. Starting from the right, the rows use the place value system of ones, tens, hundreds and so on. Move beads to the center beam to represent the digits of the number you wish to enter. In each row, the heaven beads have a value of five in that row, and each earth bead has a value of one. For example, to enter the 75 into the abacus, you need to move one heaven bead in the first row (representing one unit of 5), followed by one heaven bead and two earth beads in the second row (representing one unit of 50 and two units of 10). Move the beads on the upper and lower decks to the center beam to represent your beginning number. For this example, use 75 from the previous section. 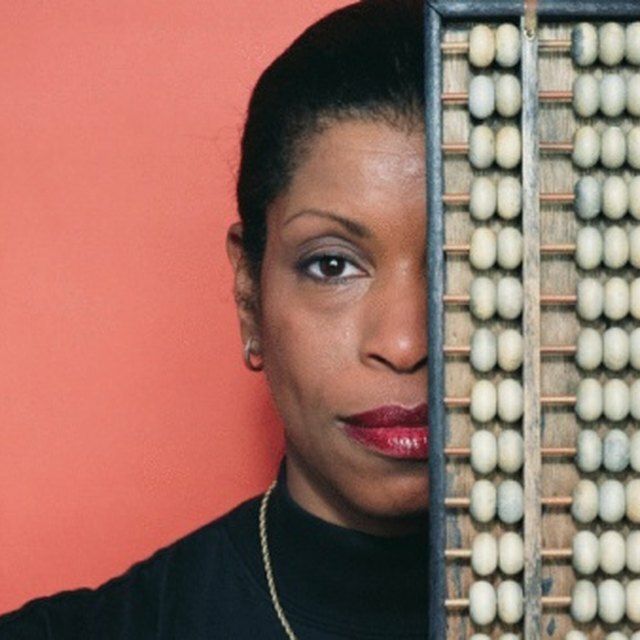 Once you have entered the number, determine the number you wish to add to the abacus. For this example, add 25 to 75. Slide the beads in the first row (on the right hand side of the abacus) to add the first digits of each number. In this example, 75 left one heaven bead in the center of the first row. To add the 5 from 25, you need to move one more heaven bead in the first row to the center beam. This position will result in a value of 10 in the first row, and will require you to carry the number into the second row. Push the two heaven beads in the first column away from the center beam, and push one earth bead in the second row to the center. This action carries the value of 10 from the previous step into the correct row. Many schools use an abacus for kids to be able to visualize the carrying operation. The first row of the abacus will now be empty, and the second row will include one heaven bead and three earth beads. Slide the beads in the second row to add the second digit of your number. In this example, you have the 20 from 25 left to add to your 75. Therefore, you will slide two earth beads in the second row to represent adding a value of 20 to your number. This action will result in the second row of the abacus containing one heaven bead and five earth beads, totaling 100, and requiring the value to be carried. Push all of the beads in the second row away from the center and slide up one earth bead in the third row. The abacus will now feature empty first and second rows and one earth bead in the third row, resulting in a total of 100. Lane, Ross. "Instructions on How to Use an Abacus." Sciencing, https://sciencing.com/instructions-use-abacus-8610301.html. 09 October 2018.